This is a chair that came with Apartment Life if you pre-ordered the game now for The Sims 3. 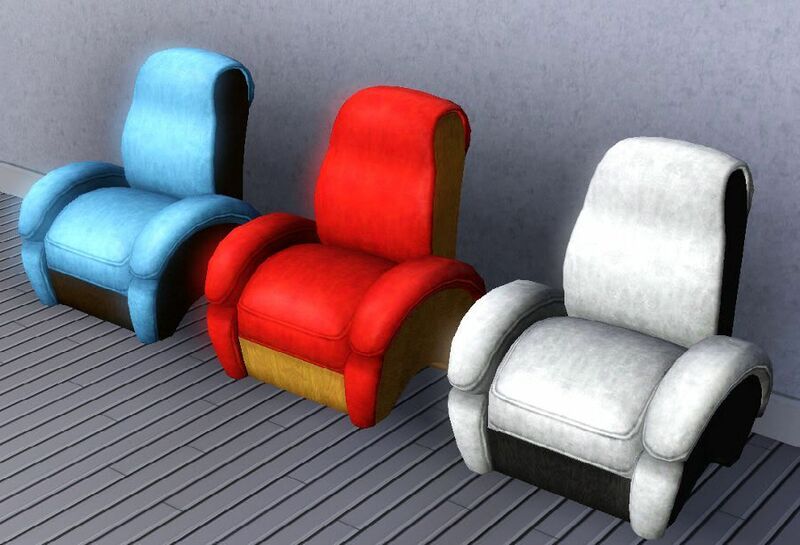 The chair has 2 channels, and 3 default color/pattern choices shown below. Enjoy!